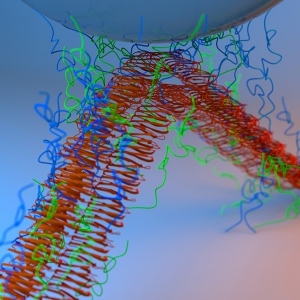 "This would be a big deal for cars," says Petra E. de Jongh, a materials scientist at Utrecht University in the Netherlands and a co-author on the study. With lighter batteries in place, cars can achieve better gas mileage-a particularly important figure considering lithium ion batteries are currently used in environmentally friendly vehicles such as hybrids. Lithium ion batteries rely on liquid or gel electrolytes for ion transport; the liquids and gels typically comprise lithium salts. Positive lithium ions shuttle between the anode and cathode of the battery upon charging and discharging, facilitating the current in the external circuit. Liquids and gels have been the go-to for battery electrolytes because ion transport is fast and reliable, says de Jongh. But beyond weight and safety issues, liquids and gels don't make for long-lived batteries. Lithium dendrites can form, stretching between electrodes resulting in short-circuits. To create longer-lived and lighter batteries, de Jongh turned to her work with hydrogen storage materials. 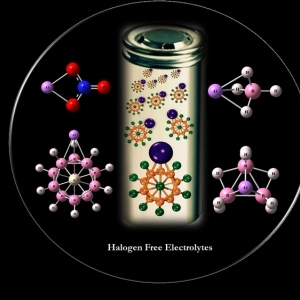 Replacing the liquid and gel electrolytes with a solid electrolyte would then be ideal; however, such an electrolyte would have to have high ion transport properties. For de Jongh, a metal hybrid family known as borohydrides, such as Mg(BH4)2 and LiBH4, became of interest. 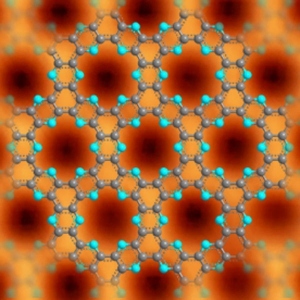 When used for hydrogen storage, this material had shown high efficiency in transporting ions. In collaboration with Didier Blanchard, a materials scientist at the Danish Technical University, de Jongh decided to make a leap to lithium ion transport in batteries using this material. The researchers encased the LiBH4 in a nanoporous silica, since silica has a low ionic and electronic transport efficiency, but the shape of the pores is tunable. By creating pores of different shapes and sizes, the researchers aimed to gain a better understanding of the effects confinement had on the ion transport efficiency of LiBH4. They created scaffolds of silica dioxide that had cylindrical pores with a volume of 0.88-0.97 cm3/g. The pores were filled with LiBH4 through melt infiltration, where the scaffold and samples of LiBH4 were autoclaved at 295°C, allowing the LiBH4 to infiltrate the scaffold. It became clear that the lithium ions were still highly mobile even at room temperature. "[The speed] wasn't much different than what happens in a liquid," says de Jongh. The mechanism behind the fast conductance remains a bit of a mystery, she says, though it is clear that it is related to the interface between the scaffold and the LiBH4. John B. Goodenough, a mechanical engineer at the University of Texas who also studies lithium batteries, has a theory however. He says that it's been known for some time that the introduction of oxides, such as the dioxide in the silica scaffold, allows for faster conductance of lithium ions. 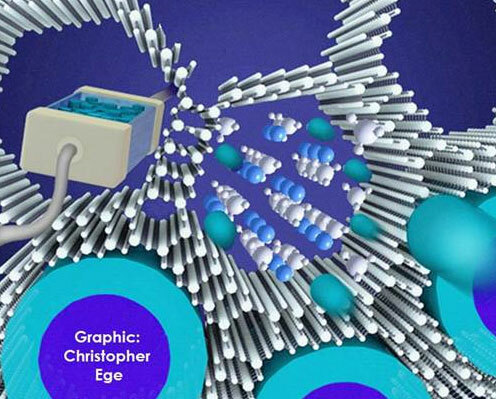 "The morphology of the cylindrical pores in the porous SiO2 creates connected interfacial regions for a better bulk Li+ conduction," says Goodenough, who was not affiliated with the current research. But while the increased conductance of lithium ions in a solid electrolyte is interesting, says Goodenough, a major hurdle remains in putting it into practice. So far, all-solid batteries haven't achieved a stable interface where the solid electrolyte and the electrodes meet, he says. "This problem has so far restricted all-solid Li-ion batteries to those with thin electrodes," says Goodenough, "and, therefore, a reduced capacity of stored electrical energy."